A friend asked me a profound question the other day. I’d grown up in the church, and my relationship with Jesus Christ was number one. But why did I go to Church? As I began to think about the term “Church,” I realized that it wasn’t the structural building or the ‘being spiritual’ part that drew me there week after week. It was the people. The beautiful yet undeniably imperfect community of people. The bride of Christ, whom I belong to. As a church leader, you live in a hectic world, which makes keeping track of people difficult. But knowing who’s coming and going is essential to leading your people well. You want to make sure no one is lost in the crowd. With the help of a Church Management Software (ChMS), pastoral care becomes more natural. You can spend more time with your people and less time worrying about administrative tasks. To show you what I’m talking about, here are three practical ways ChMS can assist you in building a strong church community. Most churches understand the need for smaller community groups within the church to forge stronger relationships for the sake of accountability and support. Did you know that having a Church Management Software to assist you in managing your small groups empowers your small group leaders and fast-tracks discipleship by connecting new guests to people with similar backgrounds? Having your ChMS Groups set up correctly in your Church Management Software empowers you to implement processes that will help you engage and follow up visitors so that no one gets left behind. It also allows you to reach out to members on a regular basis through email and SMS. Use their gifts to serve the church. Purposeful and consistent communication between members, leaders, volunteers, and church staff is critical when it comes to keeping everyone in unity and focused on one common goal. A Church Management Software will help streamline communication within your congregation by allowing you to connect with individuals based on their personal preferences. Members can stay up to date via a church-wide calendar which notifies them of important events or services and incorporates event, facility assets, and volunteer management into one tool. In your church communication strategy, be sure to include these four channels when connecting with your church members. Building a strong sense of community within your church starts with effectively managing and empowering your church volunteers. 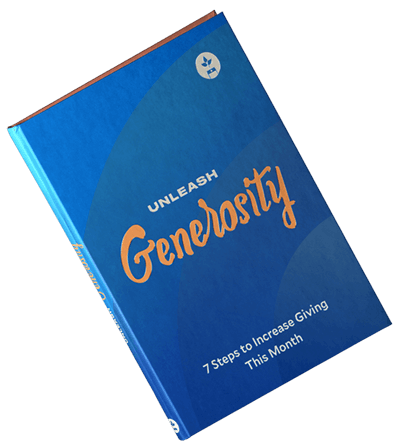 Volunteers are the lifeblood of your church, and it’s their consistent commitment that makes your church run. Make it easy for your volunteers to serve and create an enjoyable experience for them so that they will stay devoted to serving your church for many years to come. So going back to the conversation I had with my friend. Why do I “bother” with the Church? I’m connected with people of like faith, providing me with encouragement, motivation, and protection that every person (and believer) needs and wants. For more information about a Church Management Software that assists in building a stronger church community talk to us here at Tithe.ly. Editor's Note: This post was written by Sarah Schelbach. Sarah helps out with customer success at Tithe.ly.